This is just one more story of a young man killed in the First World War. A young farmer from Silian, Lampeter. He was my great grandmother’s brother. His name was Wat. Several years ago my Aunty Betty told me the story of her mother’s younger brother, Wat. He was the youngest son of Samuel and Sarah Davies, Coedparc. He had 10 sisters and one older brother. Just before the outbreak of World War 1, his father decided he should enlist in the army, although he was easily exempted from doing so, as the only son left working on the farm. Samuel Davies the father, apparently, thought he had been overly-pampered by his many sisters and decided the army would toughen him up for farming life. Samuel gave the army a few additional horses so they would accept his son. 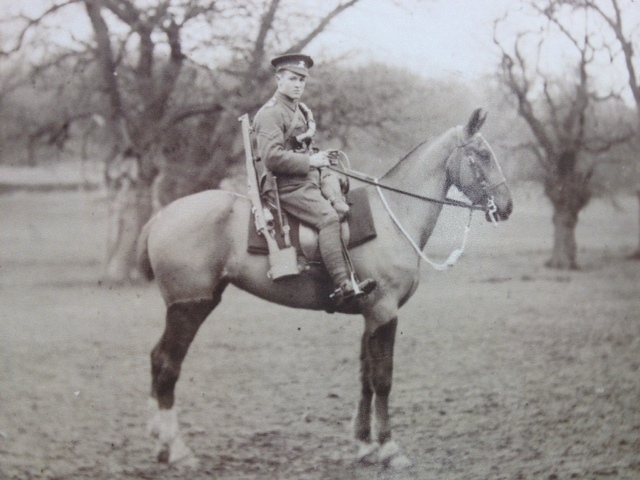 By 1914 Watkin Jones Davies was in the Pembroke Yeomanry and when war broke out he could not chose to return to the farm. He had to fight. Wat never returned to run the family farm and died 3 days after Armistice on November 14th 1918 in a German military hospital in Cologne from a leg wound suffered at the Battle of Epehy on the Somme on September 18th 1918. His father, Samuel Davies, died a few months later. Who knows if the guilt of sending his son unnecessarily to war was the cause of that death? The farm, Coedparc, was inherited by one of the daughters and her descendants run the farm to this day. Wat spent the major part of the war in the Middle East, primarily in Egypt. The Pembroke Yeomanry merged into the Welsh Regiment and had fought through the Palestinian Campaign, at the Battle of Gaza and the Battle and capture of Jerusalem. The Regiment was called to the Western Front in 1918 and arrived at Marseilles in May 1918. They then fought at the Second Battle of Baupaume and in Flanders before returning to the Somme and fighting the Battle of Epehy as part of the offensive towards the Hindenburg Line. At that Battle, Watkin was wounded and captured by the Germans. Watkin was a prolific writer to his many sisters during his 4 years in the war. The letters, photos and postcards to one of his sisters, Sarah Ann, Dolaugwyrddion, survive to this day. Many other letters are lost or are lying somewhere, unfound. He wrote to his sister in English, which is no great surprise, but the formality of the letters is a surprise and I was also struck by how well-written they were. 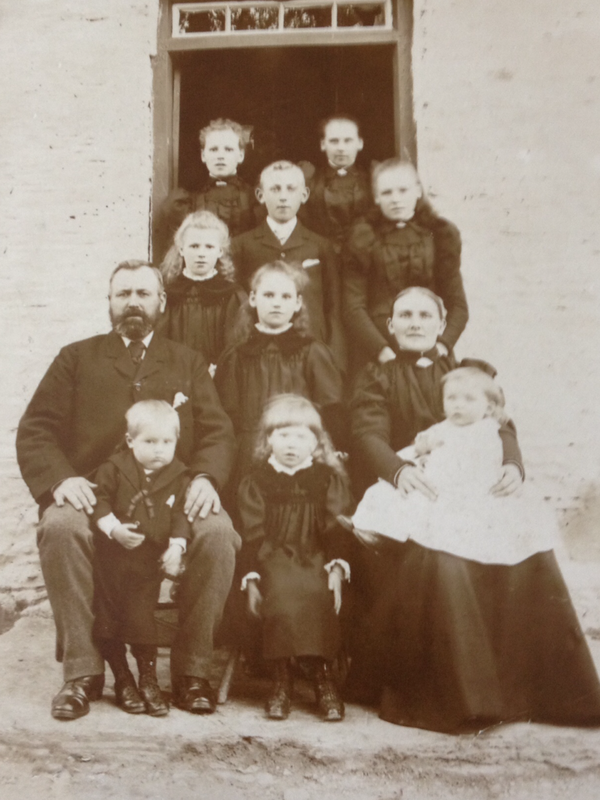 For a farmer’s son in the early 20th century, he must have been well-educated. The letters strike me as being full of an unwritten longing for home. He asks often of the weather and harvest at home. He discusses the various babies born into the family and is always grateful for parcels received, especially when they include a piece of wedding cake. “I am sorry to say that on the 6th of November, the best part of my Platoon was killed, and wounded, and as it happens I was in command of them that time, the Sergt that’s with me was left behind in a reinforcement camp, and my Platoon Officer, was acting Second in Command of the Company that day, also he was wounded and by today he has been invalided back to England. Just fancy they were dropping both sides of me, and I came through without a scratch, which I never expected that I would”. In some letters he speaks of places that he had heard of in Sunday School, the banks of the Nile in particular. He sent postcards from Cairo and Alexandria. His letters hint at leave to return home, although there is no detail on how often he would have returned home during the 4 years. At some point during the War, he was made a Sergeant. Watkin Jones Davies is remembered on the War Memorial at Lampeter and on a plaque in Bethel Chapel, Silian. He was presented with a clock to commemorate his actions in Palestine by the Chapel. He is also remembered by his family.